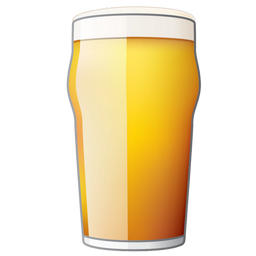 Existing Gold/Platinum/Professional Members – Have automatically had a BeerSmith 3 license installed in their cloud account for their current term. I will also update the accounts once more before the launch date. No action is needed on your part, and you do not need to pay separately for an upgrade. Recent BeerSmith 2 Purchasers: If you bought BeerSmith 2 after 15 October 2017 you can use this link to get a free 12 month Gold membership. Log in and enter your activation key (from Help->Activate in BeerSmith 2) and the system will apply install your BeerSmith 3 license in your account. I’ve posted a more detailed article on the features in BeerSmith 3 here along with linked release notes. I’ve also created a page here explaining the new online licensing system and licensing and upgrades in more detail. > Older BeerSmith 2 Licenses: We are offering a substantial pre-order discount on BeerSmith 3 now. I believe most existing users can find an affordable plan below. Is the pricing of upgrades for existing users of BeerSmith 2 the same as that available to anyone else? That’s a bit unusual, not to say disappointing. Normally prices of software upgrades are less expensive than licenses for first time customers, even during promotions. Does the preorder discount also apply to the recurring yearly subscription, if you set it to that rather than just the one year activation? With the Activations, you state a number allowed per computer, does this number include devices such as phones and tablets, or purely “fully fledged” laptop and desktop computers? Only desktop/laptop computers such as Mac or PC (or Linux). The mobile version will still be sold/licensed through the iTunes/Google Play stores which have their own separate licensing and distribution system. Another question about activations – I’ve had to reset my computer a few times, or just bought a new computer. It’s never been an issue with the current Beersmith. I’ve been able to install it over and over. Does this mean I won’t be able to do that with 3? I have the version 2, then I could have the update of the new free version? or a discount on your new version? how much would it be? Could you please explain to me how you could do? Just so I am clear – there is no discounted upgrade option for recent purchasers of the BeerSmith 2 One Time Basic to go to BeerSmith 3 One Time Basic? I purchased in the last two months and it looks the only option is to go from the standalone version to an annual subscription version. Correct? Just bought BeerSmith 2 before BS3 was announced. Is there a way to get upgraded without having to pay for it if that is the case? Is there or will there be away to figure the carbs for the beers? You can get the calorie count but I do not specifically try to calculate carbs. Yes, though some features are not yet in the mobile such as cloud folders and support for mead/wine/cider. You will be able to access your beer recipes. I do have a mobile update to the 3.0 platform planned for late July – it is in beta testing now. I believe that is explained above – there are upgrade options for recent purchasers and I’m running a pretty good discount right now on people who want the new version. You can manage activations through your online account so you will be able to deactivate a device you are not using from your cloud account->profile page. The mobile app is still a separate purchase, though if you buy the full BeerSmith 2 Mobile I will be upgrading that to the 3.0 baseline for free in late July. The mobile app is in beta testing now. No – if you subscribe it does go up to the regular price on year 2. I thought of building a complex system to let you insert your existing key and access a discount but it seemed a bit difficult to manage in practice. I decided instead to run the preorder at a very good price and also extend it into the early launch period for those who wish to upgrade. I’m currently on Gold Subscription. I noticed Gold and Platinum says Personal Use License. What’s the difference of the Personal Use License and Commercial use License? just purchased a robobrew gen 3 with pump and wonder what support does beersmith 3 software offer me. any info would be greatfully appreciated. I had a Lite version upgraded to paid version. In google play I can not upgrade to version 3. How do I get version 3 without paying once I already paid?